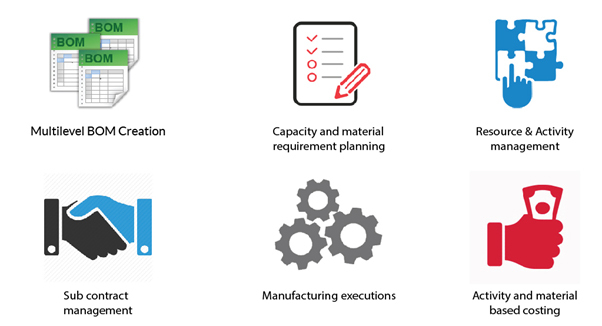 Why Spectrum ERP with Tally Integration? 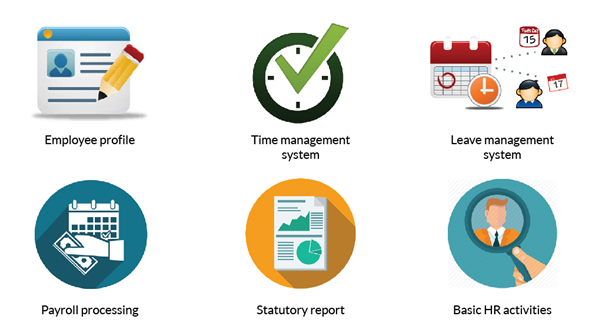 Tally is a preferred Accounting, Financial & Inventory software of SMEs. Many SMEs have already implemented Tally. Hence it is important to integrate existing Tally into ERP. Spectrum ERP with Tally integration provides the power of Spectrum ERP along with the flexibility of Tally. It helps implement best business practices in organizations without impacting their Accounting practices. How Spectrum ERP with Tally Integration Works? Spectrum ERP with Tally integration is a direct single step data transfer feature to export vouchers from Spectrum ERP to Tally. 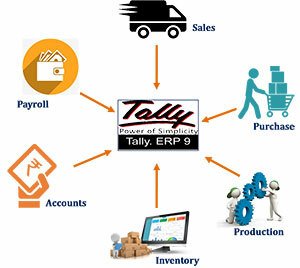 This integration is developed over Web API services available in Tally ERP 9. We carry out thorough discussions regarding list of accounts, accounting practices, stock management, taxes and so on. Based on the inputs received, we provide solutions for integration of Vouchers related to select operations such as Sales Invoice, Purchase Invoice etc. We provide One Click transfer of Vouchers from ERP to Tally. This solution conforms with the existing accounting practices in the client organization. Which transactions can be Integrated with Tally? We integrate all financial data generated in ERP and required for Tally. You can choose to integrate only select operation data or go for maximum integration. 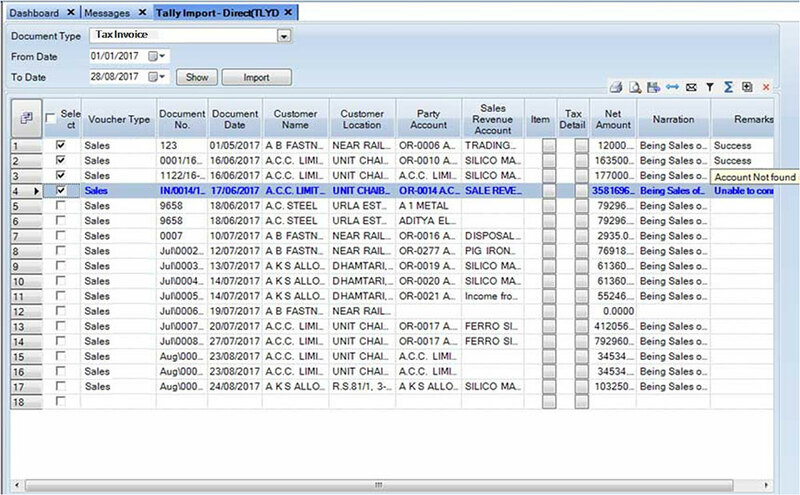 Few examples of department wise list of transactions that can be integrated with Tally are. How do I know data synchronization is done accurately? We provide status for each record being exported from Spectrum ERP to Tally. As records get synchronized successfully you see a Success message. However, in case there is some error for a particular transaction, you can view the reason for error & take corrective action and import this particular transaction again. What if my synchronized data gets changed? We provide a report to compare Tally data with ERP data over a selected time period. If any new record has been added in ERP or Tally, you can identify that. 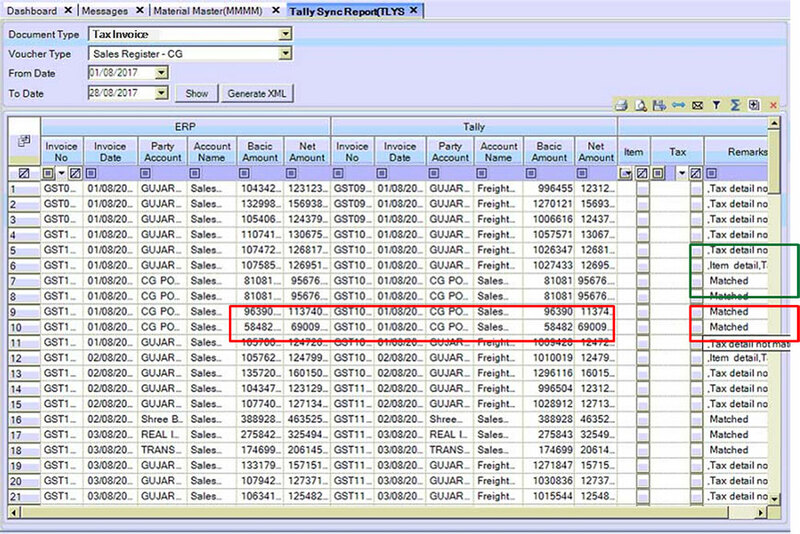 If any record is changed / modified, in Tally or ERP, you will be able to spot that as well. This report helps you to keep data from ERP and Tally in Sync. 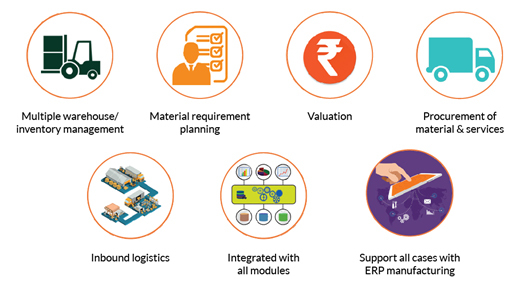 Spectrum ERP with Tally Material Management module enables you to manage material classification, material planning, material procurement, material movement, inventory control and all other material management activities. Keeps your material management up to the mark. 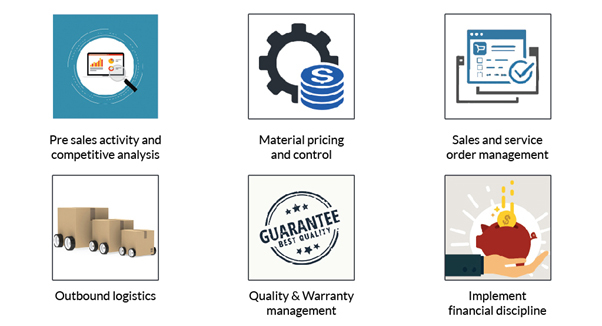 Spectrum ERP with Tally Sales & Distribution module records enquiries received, generates quotes as per industry-specific requirements, carries out competitor analysis. Records and manages sales order, agent and sales person-specific information. Spectrum ERP with Tally Payroll module extends payroll capabilities of Tally by a great extent. Integrate our payroll module with popular attendance access machines, maintains detailed employee information such as Salary structures, leave rules etc.